Students of Yin are incredibly devoted to the practice. My Yin regulars are SO regular. They tell me that they suffer when they have to miss class. Their back or hip starts to act up, they feel stressed out and they just miss their Yoga friends. Anecdotal evidence is clear that students get a great deal out of Yin, but some of us are a little more skeptical. I’m in the skeptic camp, I like to see evidence. Well, that’s a little difficult since specific studies into Yin are rare. But if we deconstruct a bit and look at really good research regarding key elements of Yin we can find some compelling or even convincing evidence that a duration practice is just really good for you. There is a great deal of really cool research into fascia and connective tissue, so some of these claims come from those discoveries. Studies about Yoga are abundant as well. 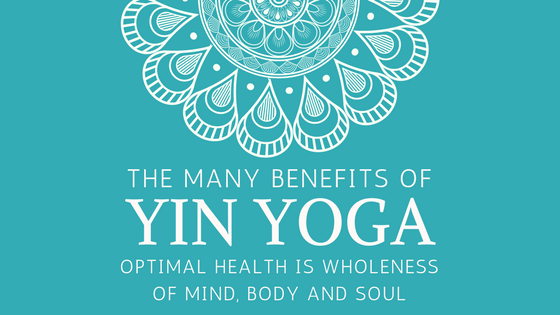 If you are a skeptic like me, have a look at the Benefits of Yin Yoga Infographic. If you’d like to know sources, just reply in the comments and I will respond with the appropriate links or information.